Top 10 Business Tips to Start Your Own Small Business: Cebod telecom "
Brainstorming ideas and systematic planning can give you a head start. Business planning, making important financial decisions, company description and others vital decisions are some of the important factors that streamline the efforts associated with making business successful. Business planning is essential to start a new business. Before launching it, every business entrepreneur should consider planning for three to four years ahead in time. Executive Summary is the backbone of the business, simply the base of your dreams. Planning will help you understand, the present state and resources of your business and give you a yardstick to measure progress and profits in future. Chalk out your executive summary of your company profile and how you want to be perceived in future with both short and long term goals. 2.Company Description provides you in-depth review of your company and its minute details of different elements of your business. The capable investors can easily understand your business model and policies, build confidence in your strategies and help meet business target by investing in it. Company description helps the business owner not only to compare his product with other competitors in the market but also identify the ways he can rectify his drawbacks. It provides you with the information about relationship with your prospective consumers, staff and employees. It also helps to explains your advantageous position in terms of business location, staffing need etc. 3.Market Analysis is the key to your success in the small business. It helps you to understand your target market and clientele. Every entrepreneur should get better knowledge of product demand, it’s life cycle and , projected growth rate, market share rate, market profile etc. You will be able to identify the competitors of your product line or service or the market segments. 4.Organization and Management come from market analysis, helping you to define company’s organizational structure.Who owns the company? What is a specific person’s role? How to have effective communication within the company? are some of the questions which will be answered in this phase of planning. 5.Service or Product Line and Self Promote-Every small business entrepreneur strives to be successful. For that, you definitely need to learn ways for promoting and advertising it. Watch and learn from others in the same field. Place your clients first and be always truthful to yourself. Its easy to sell something when you 100% believe in it. 6.Constantly Take Action-You have to make a brief assessment of your business at every step and take action and precaution according to it. Learn from market gurus, ways to advertise and reach the masses. An innovative entrepreneur is one who builds a good reputation while providing quality service or product to his customers. 7.Build A Team- Bring on board like minded enthusiastic people. 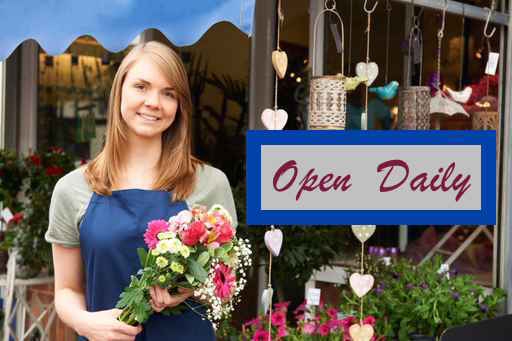 Promote your small business with right attitude and right people working with you. 8.Be mindful of your attitude Set the right tone of business from day one. Do not allow any negativity or laziness keep you away from reaching your goals. Success comes with making and accepting mistakes and moving ahead without any remorse with more powerful efforts. Owning up to and facing challenges head-on makes a person a successful. 9.Economic Factor- Consider all monetary aspects when venturing out. Make an excel sheet of anticipated expenses, use online available templates or talk to a tax consultant. Plan beforehand how to and where to spend the money. 10.Learn from others- Take lesson from other entrepreneurs. Learn what worked for them. Attend forums, small business groups in your town , read articles. Gather information and start wisely. Spending a few years in the business does add valuable experience. Share your thoughts and suggestion for building a strong foundation!